Abuja — The Federal Government yesterday resolved to engage governors of the 36 states of the federation and the Council of State in a review of the nation's federal allocation sharing formula.The review is part of demands by the Nigeria Governors Forum (NGF) prior to its accepting the implementation of the proposed N30,000 National Minimum Wage for Nigerian workers. A presidency source privy to the closed-door deliberations at yesterday's NEC meeting said the Federal Government has decided to take the governors' request to the Council of State for a definite resolution on the wage crisis.He said: "We are making progress. We will be meeting with the Council of State on Tuesday, January 22. The governors are asking for a review of the revenue sharing formula, and government is looking at that. 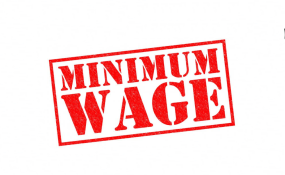 The Minimum Wage Technical Advisory Committee that was inaugurated recently is looking into the revenue sharing formula." Asked to be specific on whether the Federal Government has agreed to allocate more resources to state governments, the source said: "Everything is in progress."